If finance proceedings have been issued the next step is to create what I call the First Directions Appointment (FDA) documents. These will need to be filed with the Court in advance of the FDA (see below). 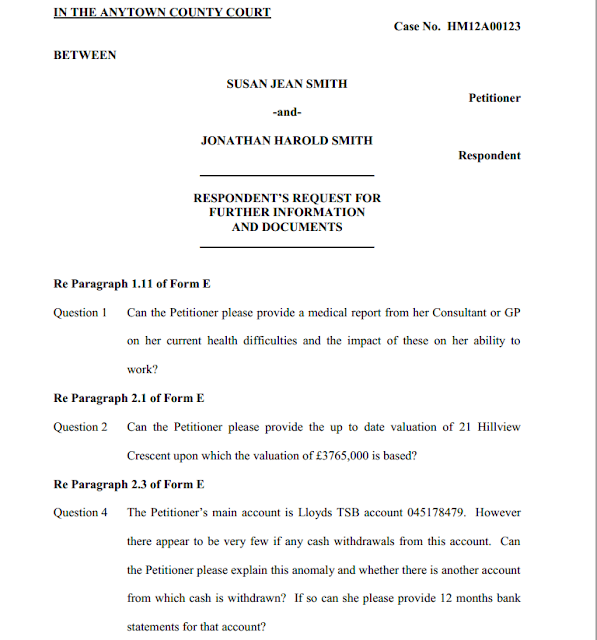 To be honest I don’t think that any of the last three are often looked at by the Judge in any detail – the Questionnaire however is, and you must spend time on it. I will look at each of the documents in turn, and show you examples of each. The Questionnaire is your request to your ex-partner, having read their Form E, for further information or documents. It’s your best chance to ask questions about any disclosure (information) that is missing from their Form E, or to ask for any clarification that is needed on the disclosure. There are no standard questions as each case is different. Do note though that you don’t need to deal with disagreements about the valuation of property or businesses in the questionnaire as they will be dealt with at the FDA. Most Judges will also deal with the need for property particulars (for your ex-partner’s future housing needs) as well – so you don’t need to ask for these. You should be aware that one of the Judge’s functions at the FDA is to decide which of the questions in the questionnaire should be answered – so it will be looked at critically. 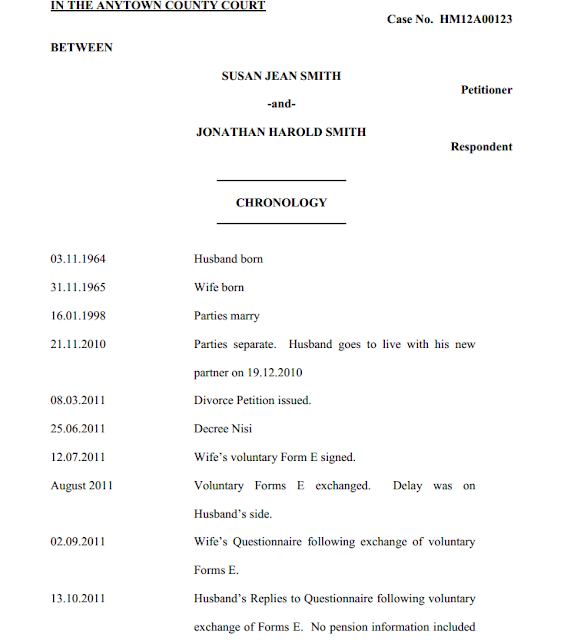 A Chronology is a list of dates relevant to the case. Plus any other dates you think are relevant – bearing in mind what I say below. I am a firm believer in a short Chronology - if you make it a long list of relationship crimes no-one will ever read it. This is a document listing what you see as the significant issues between you, relevant to the outcome of the case. Again I think this document should be short. The longer it is the lower the likelihood it will ever be read by the Judge. As the issues are particular to each case, unfortunately it’s impossible to generalise too much. 1. 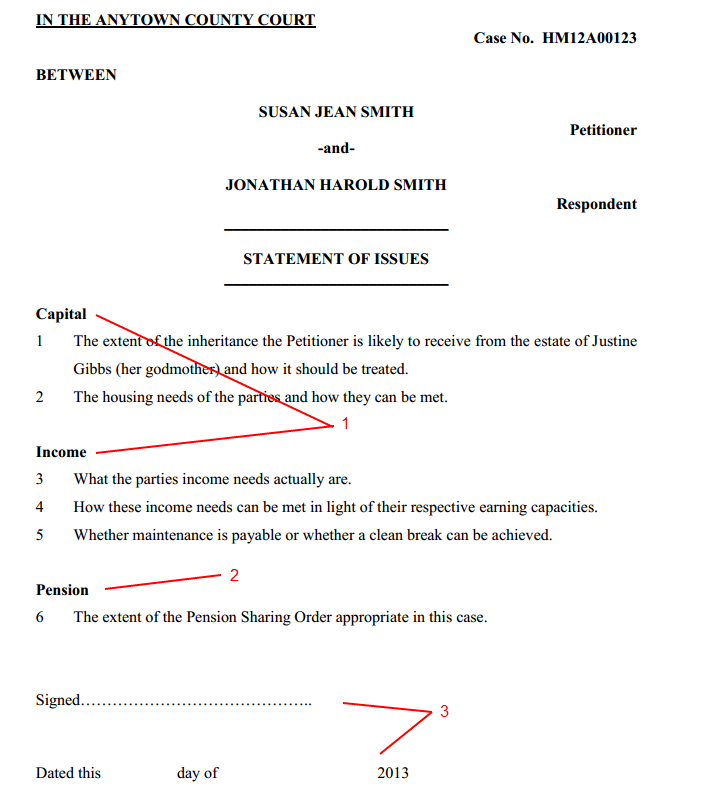 I divide my Statements of issues into two categories, ‘Capital’ and ‘Income’. Capital issues will usually be dominated by housing needs and Income issues by how much each party, and any children, will need to live on. 2. I use a third category if there are relevant issues that don’t fit into either the capital or the income section. Either name this category if appropriate (as ‘Pension’ in the example below), or just call it ‘General’ if it covers different issues. 3. 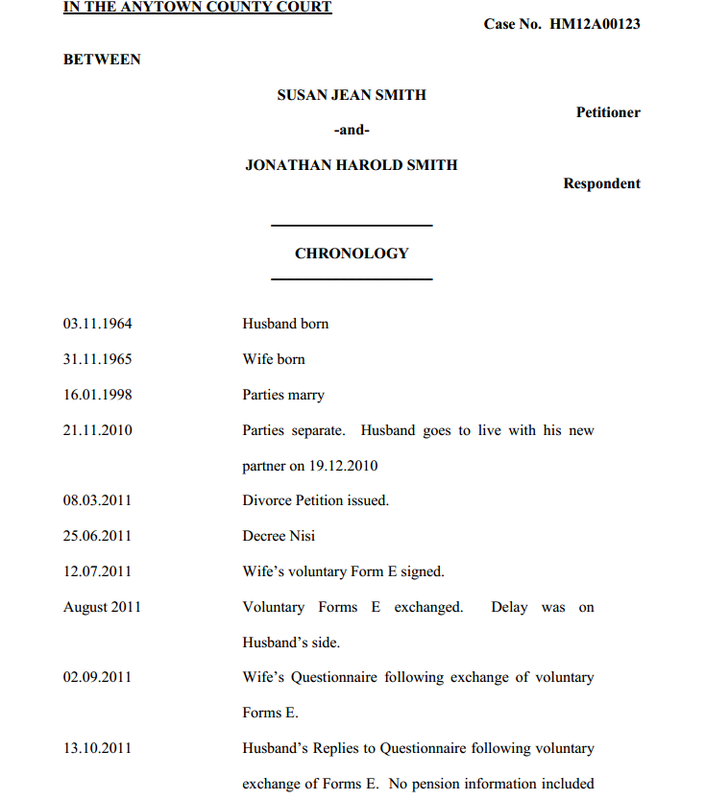 As with the Questionnaire and Chronology, sign and date the Statement of issues at the bottom. 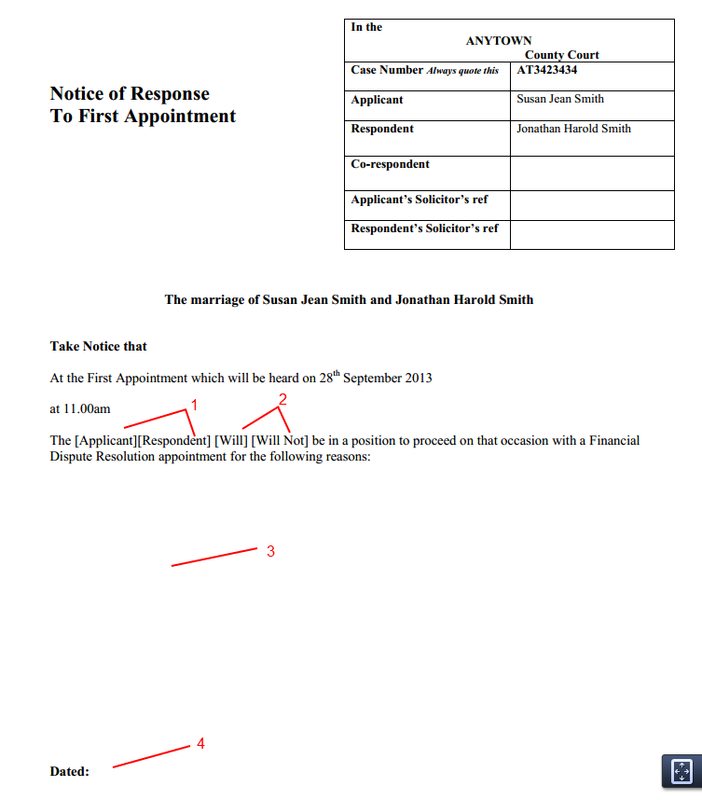 This is a standard prescribed Court form, which you will have been sent by the Court. Its purpose is to indicate to the Court whether you can treat the FDA as the Financial Dispute Resolution (FDR) hearing. The FDR is the second hearing in the Court process. 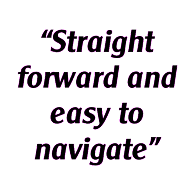 At this hearing the Judge will give you their view on the outcome of your case, which you don’t have to follow, but is designed to help you reach a settlement. If you don’t think there can be say so and say why. 1. Cross out whichever isn’t you. 2. Cross out whichever doesn’t apply. 3. State your reasons for being able to proceed or not. 4. Date the form (strangely, it doesn’t ask you to sign it). 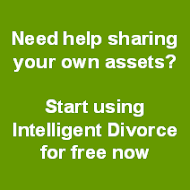 When you have finalised your documents the next step is to send a signed copy of each to the Court (with a covering letter, with your case number and listing the documents you enclose) and also a signed copy of each to your ex-partner. Try to comply with the Court timetable on doing this (this will be in the Form C the Court sent you when Form A was issued) but don’t panic if you can’t. It is much better to file and serve the documents on the day before the hearing than not to have them at all. We'll talk about the First Appointment itself in my next post.